Defensive Mindset Training's proven method for teaching the best possible skill application is through our small block distributed learning system. We have more than 3 years worth of handgun and rifle curriculum that we have been teaching students since 2013. Weekly classes currently run in Minnesota's Twin Cities area at our home base at Range Systems Inc. in New Hope and at the Osseo Gun Club in Osseo. The ultimate in personalized development, and the fastest way to identify and begin correcting bad firearms habits. Join Beau for a private training lesson on the topic of your choice. From foundational skills to high level development, private training will give you exactly what you need to continue your defensive growth. Whether you're brand new to shooting or an advanced shooter, Beau can help you find weak points and improve your technique for faster, more accurate, and more ready-for-defense shooting. Training sessions are scheduled at your convenience and typically run 1 to 2 hours. Defensive Mindset Training through Sealed Mindset has a great track record of producing valuable digital training products. 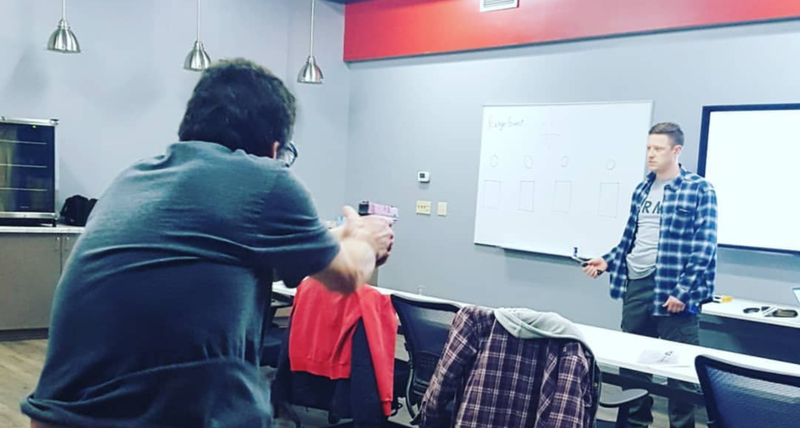 From defending your home to defense on the street to identifying targets to deciding on your first handgun, Defensive Mindset Training has a digital product to suit your needs. Half-day and full-day seminars address a variety of topics, including Precision Rifle, Tactical Driving, Permit to Carry, Concealed Carry Master's Course LIVE, Defensive Flashlight, small group events, and private instruction. Seminar schedules vary by month.